Secondly, mammographic images have extremely high resolutions. 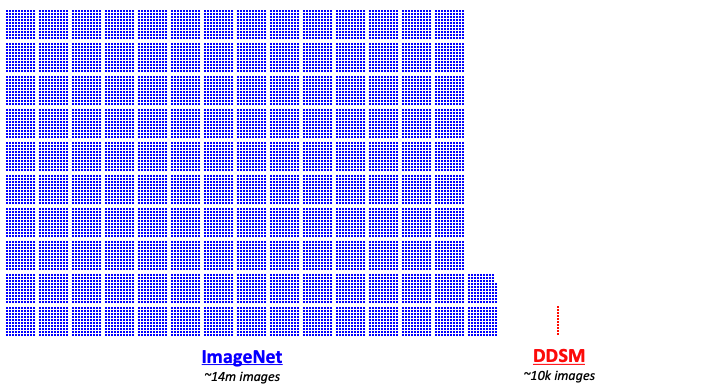 For instance, models tackling ImageNet often handle images of size 256×256. 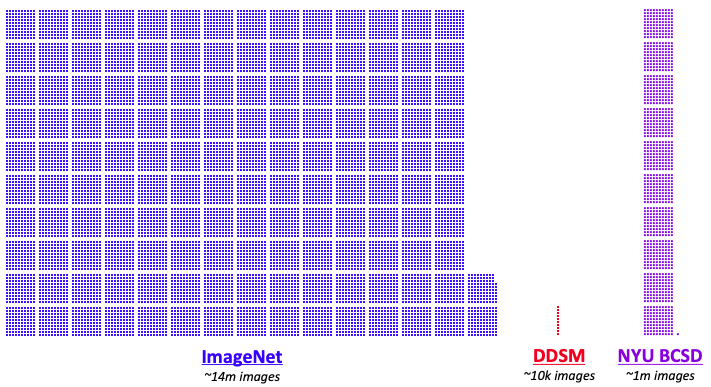 In contrast, mammogram image sizes are on the order of 2000×2000. That’s two orders of magnitude larger than what typical CNNs work with. It would be impractical to train, say, a ResNet-151 on images of this sizes on commercial-grade GPUs, as the activations and gradients would struggle to fit in GPU memory. In addition, our prior work has shown that downsampling such images can meaningfully hurt performance because of the loss of visual detail, so downsampling is not a viable alternative. 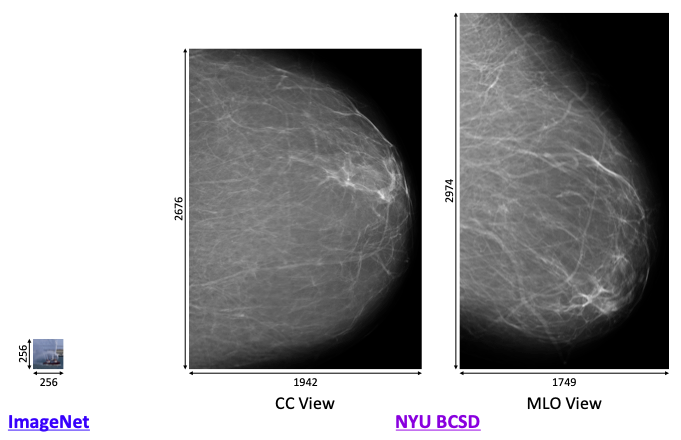 From our big dataset of mammograms, we randomly sample 256×256 patches from our full mammogram images. If a sampled patch overlaps with an annotated lesion, we assign the patch the corresponding label: malignant, benign or a negative label. 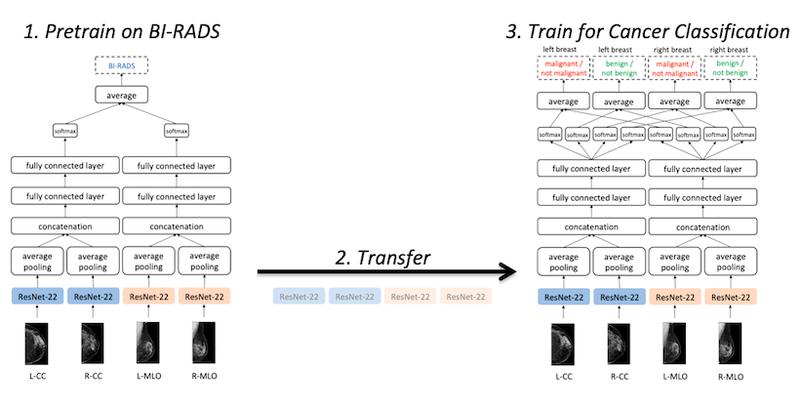 Then, we train a model to classify these patches. 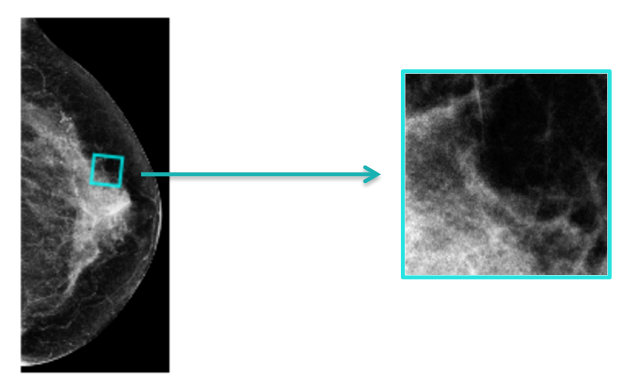 We sample 256×256 patches randomly from full-sized mammographic images. 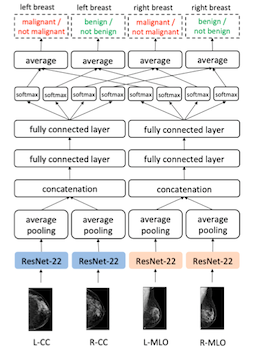 With 256×256-sized patches, not only can we use a model with higher capacity, it also means that we can use off-the-shelf models trained for ImageNet. 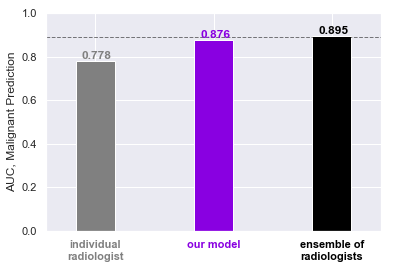 We experimented with a large number of existing models, and found DenseNet-121 to perform best. Because we’re sampling small patch from large mammograms, we can sample and train a very large number of these patches–we end up training the model for 1,000 epochs on 5,000,000 sampled patches. 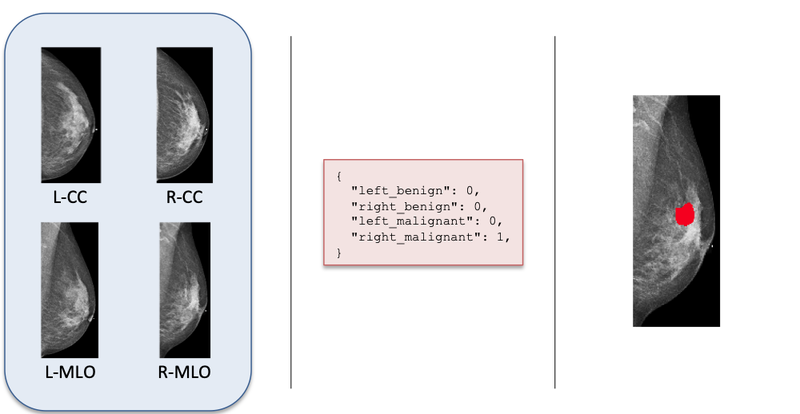 This model performs exceedingly well on this patch-classification task.